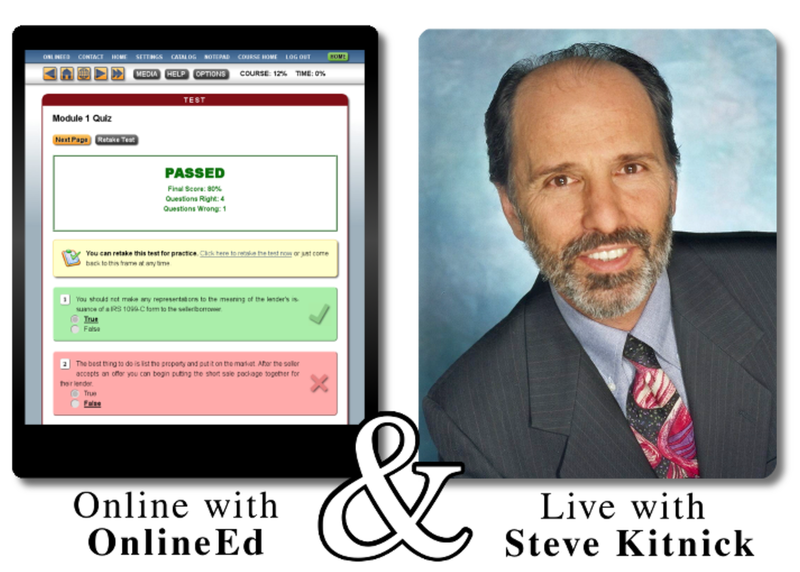 Steven Kitnick Seminars, LLC, has partnered with OnlineEd to provide live classroom instruction in the Las Vegas and Henderson areas for the Live Classroom + Online packages. Easy. Convenient. Value-Priced. Get your real estate continuing education credits with the best of both worlds: online and live. Complete 12 hours of required live classroom real estate courses with Steve Kitnick and the other 12 hours online… whenever you want!